Making the decision to get a divorce is not something to be taken lightly, even if it seems as though you and your soon-to-be ex-spouse are in agreement about most of the issues at hand. A divorce tends to bring out issues that couples often haven’t thought of and aren’t sure where they stand or how they feel about them. They may realize that they disagree with their ex, potentially leading to a contested divorce. 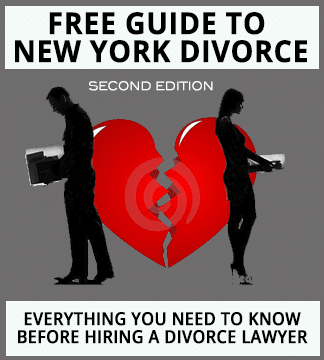 Here are the 5 most commonly disputed issues in Long Island divorces and how you can get the help you need when you and your ex don’t agree on a critical matter. If a couple has children when they are getting divorced, Child custody is perhaps the most commonly disputed issue in all Long Island divorces. Each parent believes they know what is in the best interests of the child, however, each parent’s ideas may not necessarily look the same. In some cases, child custody disputes are long and drawn out, or involve allegations of abuse or mistreatment. New York favors joint parenting and family courts tend to rule in favor of 50/50 custody unless there is good reason not to do so. Couples often dispute spousal maintenance, often referred to as alimony. One spouse will say that they deserve alimony and the other disagrees, or will simply say that they don’t have the money to pay for spousal maintenance. Courts on Long Island take a look at several factors when determining when and how to award spousal maintenance, and there’s usually no such thing as permanent alimony. To receive spousal maintenance, the lesser earning spouse must prove that they cannot support themselves outside of the marriage without it. For example, if both spouses agreed that one parent would stay at home to care for the couple’s children, that parent may be entitled to spousal maintenance to help them support themselves financially while looking for a job or receiving additional training to join the work force. After child support, property division is likely the next most disputed issue in a Long Island divorce case. New York is an equitable distribution state, which can be confusing for many couples not familiar with the term. Equitable distribution does not mean property is divided equally. For example, in the past, a judge may have required that the couple sell the family home and divide the revenue 50/50. That is considered “equal distribution”. However, equal distribution is not always fair, especially in cases where it’s important to keep the family home intact. Under equitable distribution laws, one spouse may be able to keep the house if the other spouse is awarded something of similar value. Couples who own businesses together on Long Island who decide to get a divorce have a long and complicated road ahead of them. There are a number of different options available, from keeping the business intact and relinquishing ownership to only one spouse or dissolving the business altogether. Often, couples will dispute how to deal with matters related to the joint ownership of a business during the divorce process, but with experienced advocacy from an attorney, these issues can typically be resolved in a satisfactory manner. A prenuptial agreement may be disputed in some circumstances where one spouse believes that they were coerced into signing the prenup or if they believe the terms of the agreement are unconscionable. In other cases, a prenuptial agreement can be considered entirely void, especially if one spouse failed to disclose all financial assets. No one looks on Long Island forward to a divorce that is long, drawn out, and heavily disputed. It’s just exhausting — and expensive. When you realize that you and your soon-to-be-ex spouse are not in agreement about one or more critical issues regarding your divorce, you need help fast. Our Long Island Family Divorce Law Firm can review your case and determine how best to meet your current needs. You can explore options like mediation, arbitration, or if necessary, get the aggressive representation you need to move forward into litigation. Call our office today at 631-923-1910 or fill out our quick online form for a free consultation with one of our experienced Long Island divorce lawyers.